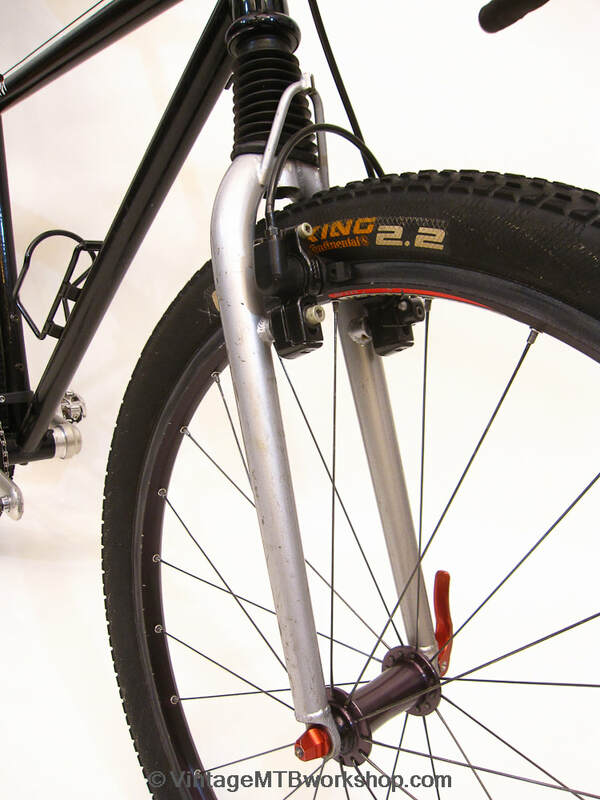 Action Tec was the work of Russ Robinson out of the microscopic location of Trinity Center, California. 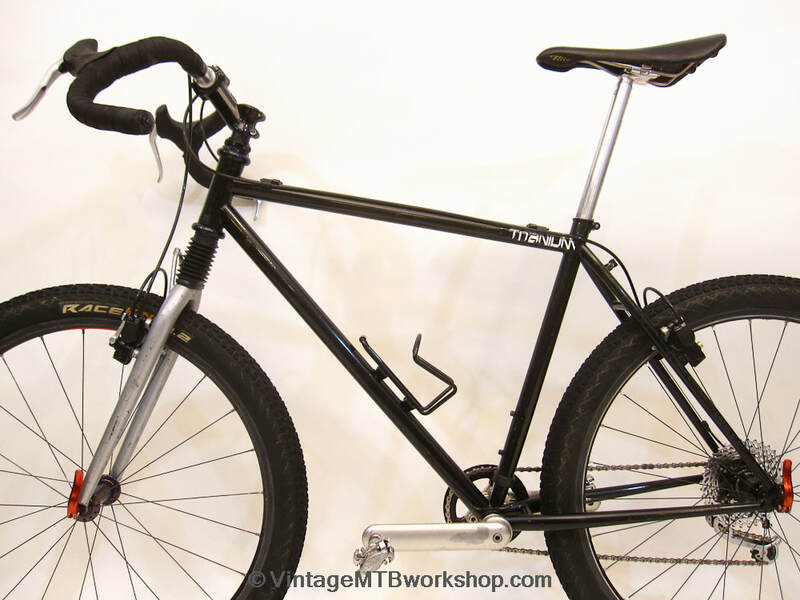 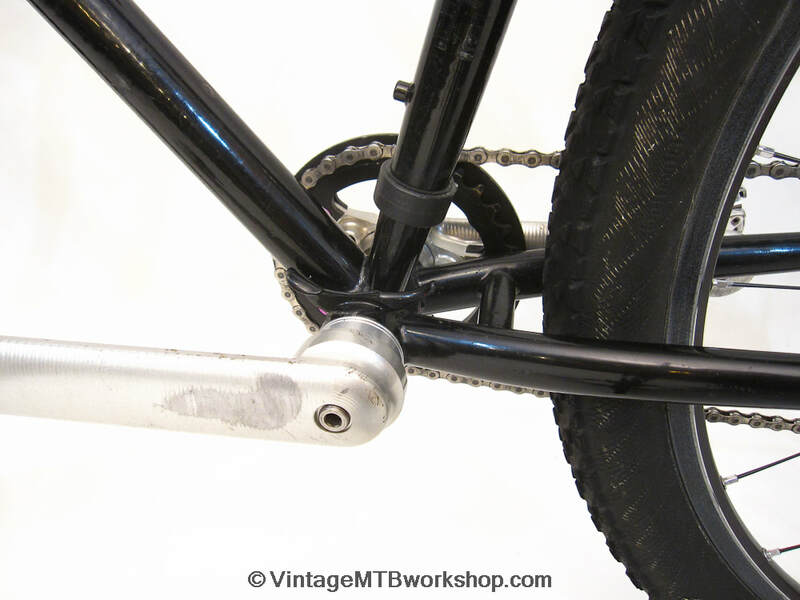 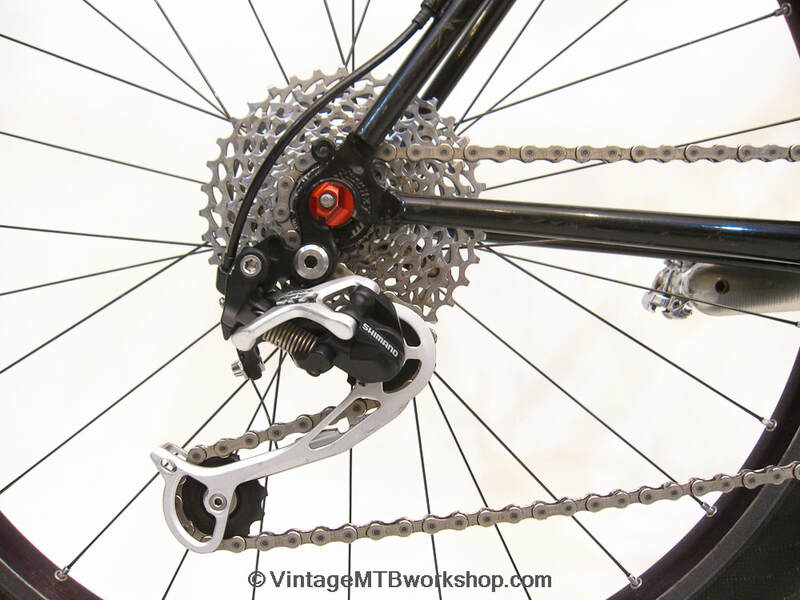 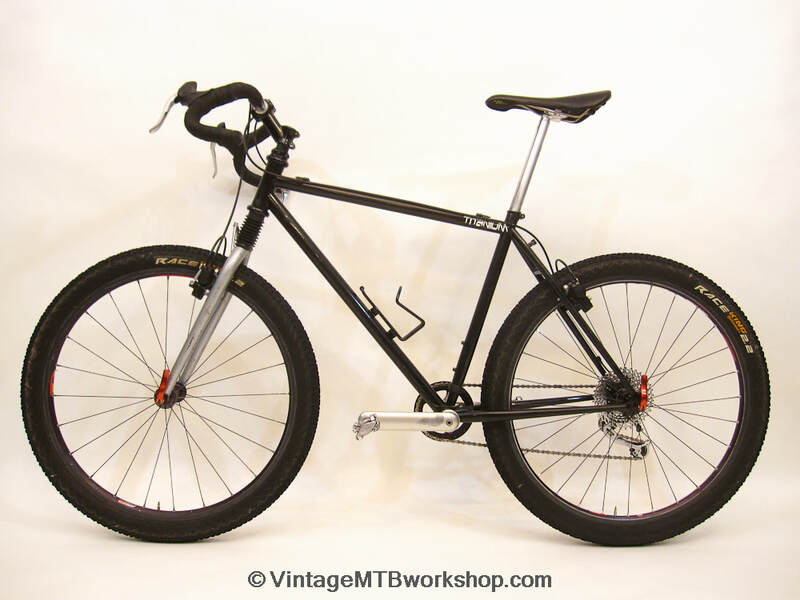 The company was best known for their Pro Shock suspension forks which used a coil spring design inside the headtube that slid on roller bearings. 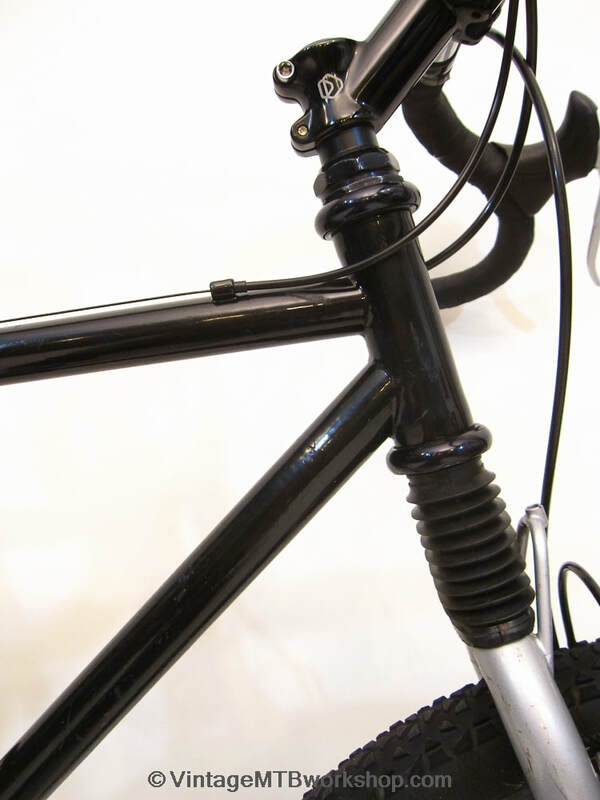 Without air seals, the forks provided very fluid action and excellent small-bump compliance. 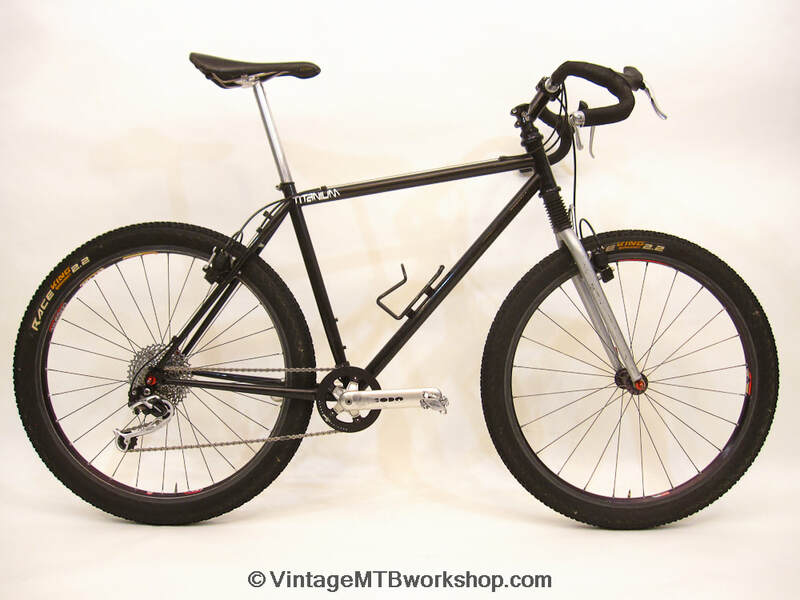 Of significance for custom frame builders, Action Tec offered fork kits which made integrating the forks into novel frame designs easier. 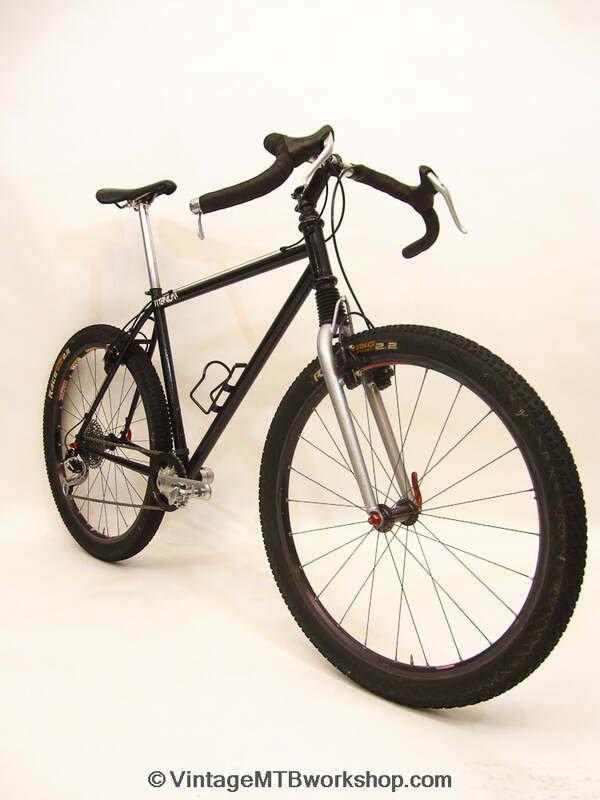 Of historical significance were early 29ers and fat bikes. 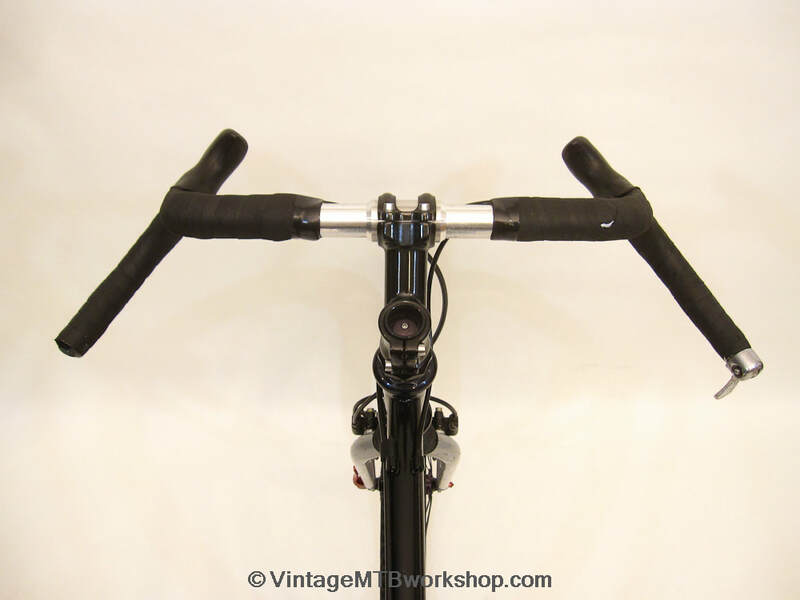 Doug Curtis of Curtlo Bicycles built a lot of frames with this fork and was also responsible for producing some of the frames Action Tec offered, including the aluminum Viper. 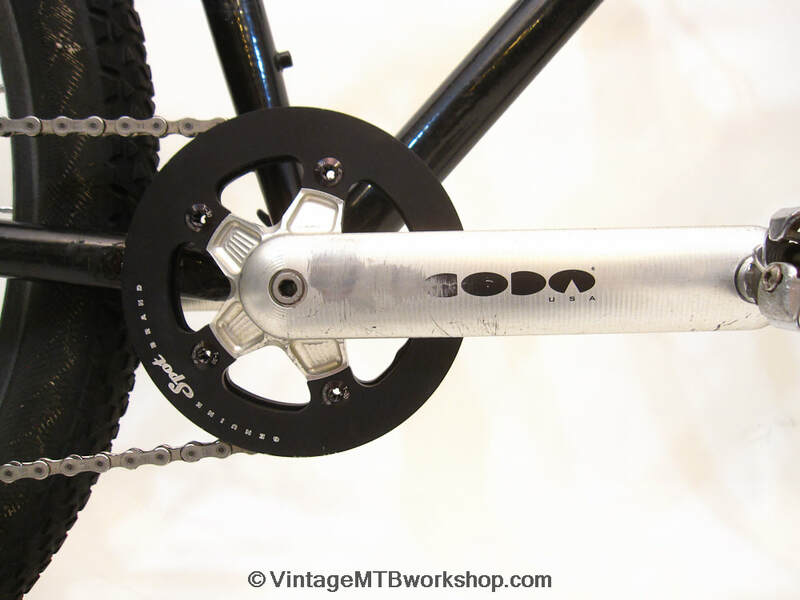 Action Tec was also known for an array of titanium parts such as bottom brackets, chainrings, and bolts that went by the "ELS" moniker. 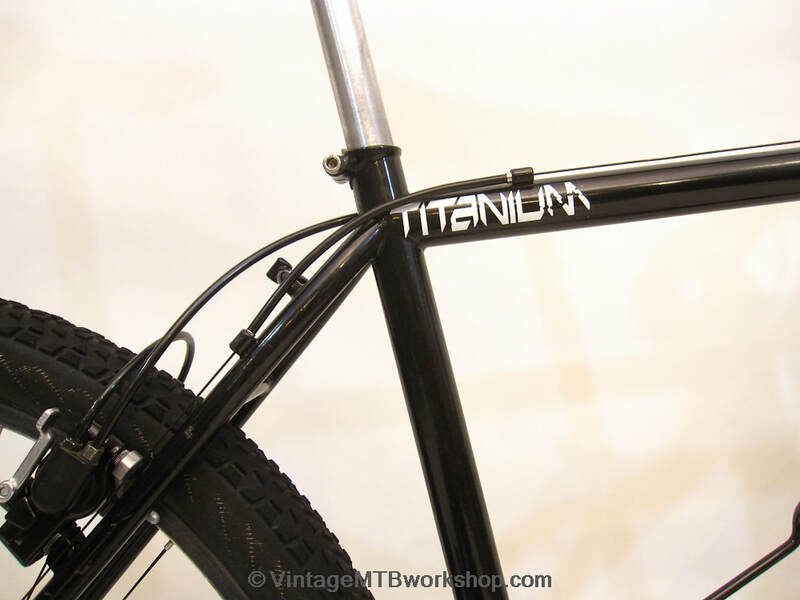 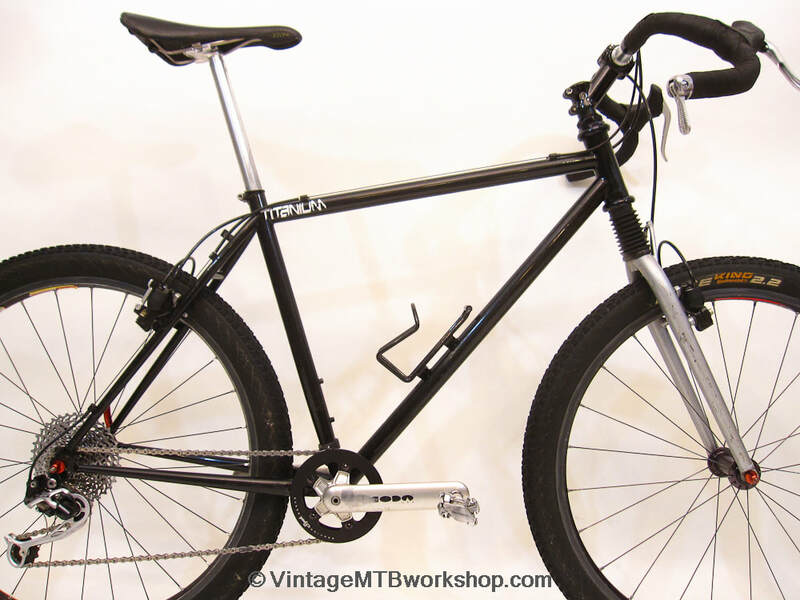 Despite the toptube sticker, this example of an Action Tec hardtail is made out of steel. 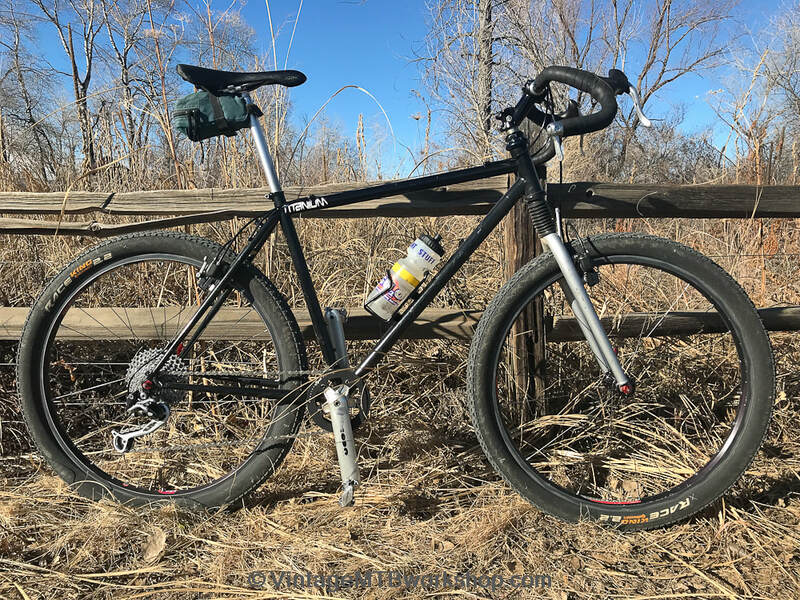 Built up as a fun, winter season bike, it has a 1x10 drivetrain using a mix of parts from Shimano, SRAM, CODA, and Campagnolo. 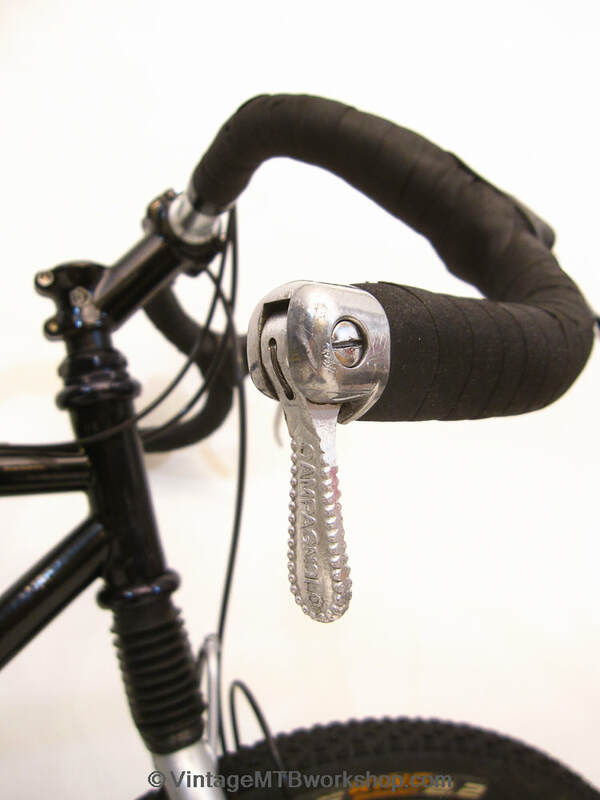 The bar-con friction shifter is many decades old but still fully capable of pulling cable across a ten speed cogset. 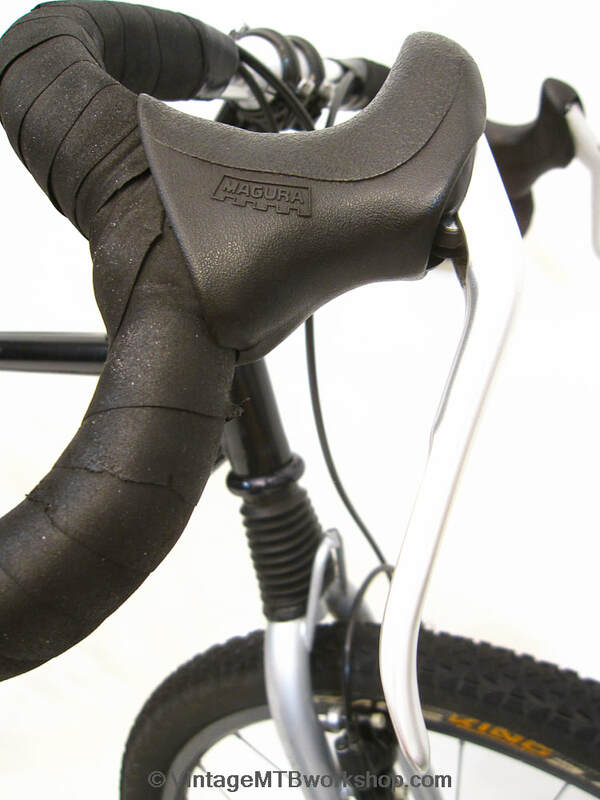 The Magura rim brakes with aero levers for touring and cross bikes are something of a novelty.